You are here: Home / Blog / 2018 Abbey Medieval Festival / Win a VIP experience for 8 people! Win a VIP experience for 8 people! Everyone has to agree that the nobility and royalty had it good during the medieval era. After all, if you were poor, nobody cared and it wasn’t called the Dark Ages for no reason. So who would like to have a little taste of the good life – medieval style. We are offering you the chance to win VIP experience for you and 7 other people. 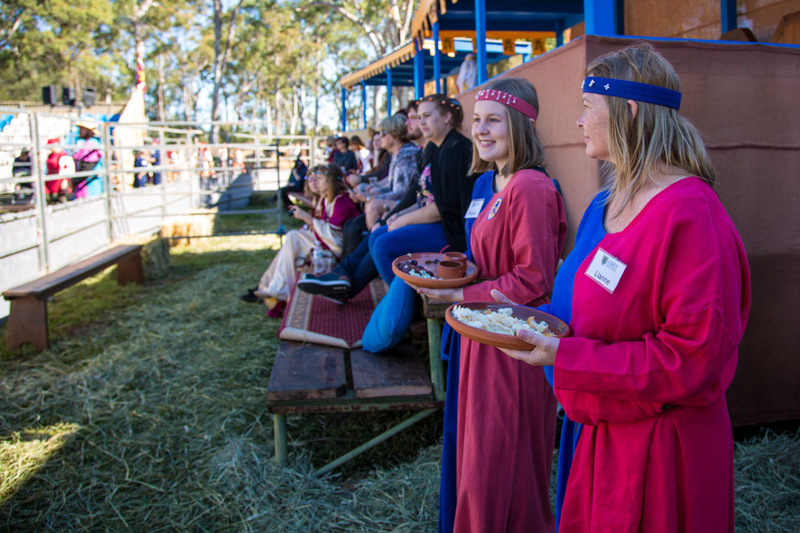 Worth $2000 this is a fantastic way for you to experience the Abbey Medieval Festival royally! We have made it easy for you because, after all you could potentially be a VIP! Don’t miss out and please pass on to your friends! What to expect in the VIP area! This is what you can expect expect to enjoy when you visit the Abbey Medieval Festival as a VIP. The best parking on site, especially for people with kids and prams, older people or those that simply don’t want to walk. Exclusive access to the VIP only area all day – wander in and out at your pleasure! Witness a Shuvani dance show (Shuvani Carnivale Historique is a vibrant and colourful troupe of historical re-enactors, performers and merchants who pay tribute to medieval nomads of the Silk Road that migrated out of India a millennium ago). VIP-only seating at each joust, with the best view- and don’t be shy to grab yourself a lance-tip as a souvenir! Opportunity to meet and greet the jousters, and special photo opportunities! So, don’t miss out, click here for your chance to win this amazing prize. Shopping at the Abbey Medieval Festival Swords – an introduction to sharp pointy things!